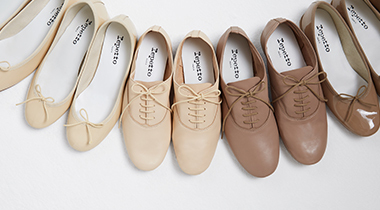 The Repetto Retail company (hereinafter "Repetto") markets dance accessories, footwear and leather goods, notably in France and in certain foreign countries. 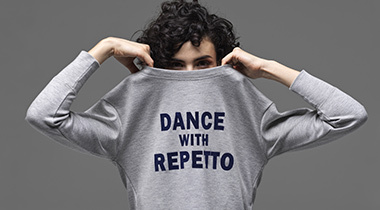 Repetto wished to create its own on-line retail site, www.repetto.fr (hereinafter referred to as the "Site"), in parallel with the network of retail outlets and exclusive stores selling its products. The products present on the Site are sold by Repetto as retail items and orders made via the Site are uniquely for final consumers. The purchase of product(s) by a professional for resale is prohibited. In consequence, these general terms and conditions of sale (hereinafter "GTCS") are exclusively reserved for consumers, within the meaning of the law and jurisprudence, acting exclusively on their own behalf and domiciled in mainland France (including Corsica), and in the following 12 European countries: Germany, Austria, Belgium, Spain, Greece, Ireland, Italy, Luxembourg, Malta, Monaco, the Netherlands, and Portugal. For any special orders, please contact our Customer Relations Department by email: service.client@repetto.fr or by phone at +33 (0)1 80 27 20 20 (normal call costs apply). Repetto reserves the right to modify the GTCS at any time. The GTCS that are applicable to an order are those accepted by the Customer at the time the order was placed. The version of the GTCS that is applicable to an order is communicated in the confirmation email received by the Customer. The purpose of the GTCS is to inform any potential purchaser of the terms and conditions under which Repetto sells and delivers the ordered products and to define the rights and obligations of the parties in connection with the sale of products by Repetto to the consumer (hereinafter the "Customer"). By ordering a product on the Site and by ticking a box provided for this purpose, the Customer acknowledges that they have read the GTCS before placing the order and have accepted them without restriction. The Terms and Conditions are supplemented by the « Personal Data & Cookies » charter. Any Order constitutes an acceptance of these Terms and Conditions and the Personal Data & Cookies charter. The products offered for sale are those that appear on the Site on the day that the Customer views the site, and within the limit of available stocks. 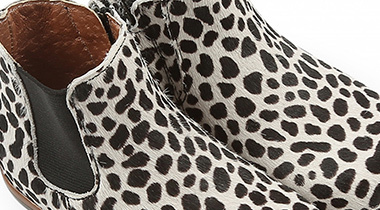 Repetto may modify the selection of products offered for sale on the Site at any time. 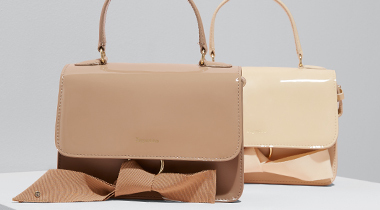 Repetto takes the greatest care when presenting products on the Site. Nevertheless, the photographs illustrating the products are only provided on an indicative basis and have no contractual value. In accordance with article L 111-1 of the Consumer Code, the Customer can consult the Site prior to their order to learn the essential specifications of the products sold on the Site. For any questions related to the purchasing of products, their use or any request for advice, Customers can contact the Customer Relations Department of the on-line retail site by email: service.client@repetto.fr and/or by phone: at +33 (0)1 80 27 20 20 (normal call costs apply). The prices of products sold on the Site are indicated in euros, per article and reference, and include all taxes (VAT included) excluding delivery charges. The price to be paid by the Customer when the order is validated is the all-inclusive price, which includes the sum of the prices of the items making up the order including taxes plus the delivery costs. The inherent telecommunication costs for accessing the site remain the Customer's responsibility. Sale prices of products can be modified by Repetto at any time. The Customer will be notified of modifications prior to any order. The products presented on the Site by Repetto are valid within the limit of available stocks. Repetto does not guarantee the availability of products presented on the Site. In the event of the total or partial unavailability of products after an order is placed, the Customer will be informed by e-mail as soon as possible of the unavailability of the product and of the total or partial cancellation of their order. In the case where the Order is cancelled in its totality, the Repetto Customer Service will contact the Customer to inform him/her of the order's cancellation and propose that the order is renewed, excluding the unavailable product. - The Customer will be reimbursed for the price of the ordered but unavailable product as soon as possible, and at the latest within 30 days of the payment they have effectuated. The ordered products remain the property of Repetto until Repetto's full receipt of payment. Select one or more items and fill the shopping cart by clicking on the « Add to Cart » button. Login to the Site, either by creating an account on the Site by ticking the box « I do not have an account yet » and by completing certain mandatory fields of an order form so that its selection can be taken into account ; or by logging onto the Site by checking the box « I already have an account » and entering their e-mail address and password. Prolonged inactivity during connection may mean that the selection of items chosen before this inactivity is no longer guaranteed. The Customer will be invited to resume their product selection from the start. Check the ordered items, identify and correct any mistakes made during entry. Indicate the selected method of delivery and provide the delivery address. Specify whether the billing address is the same as the delivery address. Validate the order, the total price, and the all inclusive price by clicking on the « Validate » button. Follow the instructions on Ogone, our partner payment server, to pay the Repetto order. Tick the box « By validating your order, you accept the General Conditions of Sale ». The Customer can modify their order at any moment up to the « Order and pay », stage, by clicking on the « Previous step » icon. From the moment the Customer confirms their order by clicking on the « Validate Payment », icon, the Customer will no longer be able to cancel or modify their order and their bank account is debited with the all inclusive price that includes the total price of the items shipped plus the delivery fees. 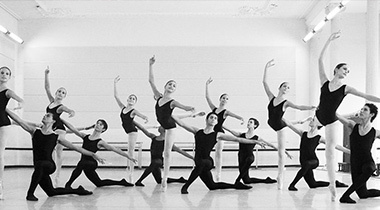 After the Customer validates their payment, Repetto sends the Customer a confirmation of the acceptance of the order. The confirmation of the order includes the summary of the products ordered, the price, the delivery costs, and the order number. The Customer receives an e-mail confirming the order's shipment. The Customer receives the package at the delivery address indicated at the time of the order. It is recalled that purchases made on the Site are reserved for a clientèle of non-professional individuals who order items for their personal use (or for gift purposes within the family). As a consequence, Repetto only sells its products in quantities that correspond to a household's usual average requirements, and as such, the attention of the Customer is particularly drawn to the fact that the total amount of their orders must not exceed the sum of 3,000 (three thousand) euros. In accordance with article L121-11 of the Consumer Code, Repetto reserves the right to legitimately refuse or cancel any Order whose number of products or the total amount to be paid (for one or several cumulative orders) does not correspond to a household's usual average requirements, any Order carrying the suggestion that the Customer is engaged in an economic activity in connection with the products ordered, or more generally any abnormal Order within the meaning of the jurisprudence that is applicable in this field. Repetto also reserves the right to suspend or cancel the execution of any Order and/or delivery in the event of non-payment or partial payment of any sum that would be due by the Customer, in the case of payment incident, fraud or attempted fraud relating to the use of the Site. Any order involves payment. These orders are payable in euros. Any bank charges will be borne by the Customer (including in the case of a refund). Payment of Customer purchases is made by credit card only: Carte Bleue, Visa, Eurocard/MasterCard and American Express network' cards are accepted. Payments by check are not accepted. The Customer guarantees Repetto that they have the necessary authorisations to use the payment method that they have chosen for the order. As an order will only be confirmed if the product(s) is/are available, the transaction will be immediately debited from the customer's bank card after verification of their data and upon receipt of debit authorisation from the company that issued the bank card used by the customer. In accordance with the provisions of article L 132-2 of the Monetary and Financial Code, the undertaking to pay which is made by the use of a bank card is irrevocable. By communicating their bank card number and the information mentioned below, the Customer authorises Repetto to debit the total amount of their order, including VAT and delivery costs, from their bank card. To this end, the Customer confirms that they are the holder of the bank card to be debited and that it is their name which figures on this bank card, then, in a secure environment on the website of our payment partner Ogone, provides the fifteen or sixteen digit number and expiry date appearing on the front of their bank card and, where required, the security code number on the back of their bank card. In the event, for any reason whatsoever, that any sums payable by the customer cannot be paid, the sale will be immediately cancelled ipso jure and the purchasing process electronically cancelled. Thanks to their secure space, Ogone is alone to have knowledge of the customer's banking information. This information does not transit in any way through the www.repetto.fr website. To combat internet fraud, Repetto has chosen to use the 3D Secure system implemented by financial institutions since January 1st, 2009. The purpose of this 3D Secure standard is to request additional information, known to the bank and the cardholder during a transaction. This helps to strengthen the authentication of its customers during internet payments. This authentication verifies that the bank card is being used by its legitimate owner. Specifically, when making a payment on a retail website with the "MasterCard Secure Code", "Verified by Visa" and "American Express Safekey" logos, a new window appears asking for personal information of the payer. This may be the card holder's birth date or a secret code depending on the internet user’s bank. This data entry control verifies that the internet user making the payment is the person associated with the card in use. If you are not yet in possession of your 3D Secure PIN code, please contact your bank. This authentication is mandatory and any refusal to enter this personal information or any mistyping of the payer's personal information will result in the transaction's cancellation. When entering the order, the Customer must select the delivery country. In all cases, the place of delivery will be situated in mainland France (including Corsica) or in one of the following European countries: Germany, Austria, Belgium, Spain, Greece, Ireland, Italy, Luxembourg, Malta, Monaco, the Netherlands, and Portugal. Any delivery address located outside these territories will be refused during the ordering process. 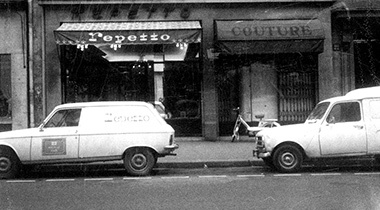 Repetto also offers delivery to certain stores in mainland France ("Click & Collect" delivery). The Customer chooses the delivery method proposed on the Site. Delivery fees and delivery times vary per country and the selected delivery service. - All orders placed before 1 pm (French time - GMT + 1), from Monday to Friday excluding public holidays, are prepared and handed over to the carrier on the same day. - All orders placed and validated after 1 pm (French time - GMT + 1) on a working day will require an additional working day for delivery. When a parcel leaves the Repetto warehouses to be sent to the address indicated by the Customer at the time of their order, the latter receives a shipping confirmation from the Site in the form of an email indicating the tracking number of their package. The Client can follow the progress of their order's processing in the personal secured MY ACCOUNT space which is accessible on the Site, or by entering the package tracking number on either the Colissimo (www.colissimo.fr), TNT (www.tnt.fr), or DHL (www.dhl.fr) website. « Click & Collect » is a delivery service whereby the customer or the recipient of the order can collect their package (previously ordered and paid for on the Site) from one of the Repetto shops offering this delivery method. To collect the parcel from the store, the Customer must have a valid ID along with the order number from their order confirmation email. The Customer can also authorise a third party to pick up the order. To do so, this person must have their own valid ID, ID of the order's recipient and the order number. The Customer, the person mandated by the Customer or the recipient of the order will have to sign the order's delivery form when collecting the parcel. This form acts as proof of delivery by Repetto and receipt of the parcel by the Customer or the recipient of the order. No dispute relating to the delivery itself is possible if the package is listed as delivered, the Repetto register being considered as indisputable. The Customer has 15 days from the in-store delivery date to collect their parcel. After this period the order is cancelled and the Customer refunded the full amount of the order, Repetto choosing the means of refunding. It is the responsibility of the Customer or the recipient of the order to verify the apparent condition of the package and the products upon delivery. If any irregularities in packaging are observed (a damaged package, or particularly an open package) or if ordered products are missing or damaged, it is imperative that the Customer or the recipient of the order communicate their reservations and complaints which appear justified, or even refuse the parcel if it appears to have been opened or has obviously deteriorated. These reservations and/or complaints must be addressed as quickly as possible to the Repetto e-boutique Customer Relations Department by email: service.client@repetto.fr . Failure to comply with this procedure precludes any recourse against the carrier and Repetto. In particular, the Customer will not be entitled to any reimbursement. The Customer or the recipient of the Order can not demand that Repetto re-deliver the ordered products. The Customer must ensure that the items delivered to him correspond to his order. If the delivered items do not conform in kind or quality to the specifications indicated in the delivery note, the Customer must inform Repetto e-boutique Customer Relations Department by e-mail: service.client@repetto.fr and return the items to the address indicated in the conditions provided in article 7. Repetto agrees that their customers who are not satisfied with an ordered item may exercise their right of withdrawal provided for in Article L.221-18 of the Consumer Code under the best conditions. The Customer therefore has a period of 14 (fourteen) days from the receipt date of the parcel containing the ordered products to exercise their right of withdrawal. Products must be returned to Repetto in a suitable condition for re-selling (products in perfect condition, in their original packaging, complete (accessories, manual, shoe box, plastic covers ...)), with labels, in new condition, unworn, within 14 (fourteen) days at the latest after their reception date. After this period of 14 days, no return or exchange will be accepted. If the Customer does not wish to or is unable to make an exchange in the store, the Customer or the recipient of the order who wishes to exercise his right of withdrawal must return the related products by post, in their original packaging, together with the carefully completed return form available in the GTCS annex or downloaded from the Site, with a copy of the delivery note. In accordance with article L221-21-3 of the French Consumer Code, the costs of returning the products will remain the Customer's responsibility, except in cases where the delivered products do not comply with the Order (in this case, Repetto is responsible for the return costs). Repetto does not accept parcels addressed freight collect. All risks related to product returns are the Customer's responsibility and Repetto recommends that you subscribe to a package tracking option to avoid any inconvenience in case of the loss or theft of products during the return transport. If the conditions mentioned above are met and once the goods have been received, checked and accepted by our services, Repetto will refund the returned items at the invoice price (including delivery costs) depending on the payment method used for the item, by crediting the customer's bank account that corresponds to the credit card used for payment within 14 (fourteen) days from the day on which Repetto is informed of the Customer's decision to withdraw, subject to Repetto receiving the returned items within the time limit. When several items ordered on the Site have been shipped in one go (by single package) and the Customer decides to return them in full during the cooling-off period, the delivery costs will be refunded. On the other hand, if only a part of the items ordered and shipped in one go is returned during the cooling-off period, the forward delivery costs will remain at the Customer's expense. Items that are incomplete, damaged, deteriorated or soiled by the Customer will not be refunded. All products sold on the Site benefit from the legal guarantee of compliance (as defined in articles L 217-4 and following of the Consumer Code) and the guarantee against hidden defects (as defined in articles 1641 and following of the Civil Code) which enables the buyer to return defective or non-compliant delivered goods without charge. - Article L217-4 of the Consumer Code: The seller is obliged to deliver goods which comply with the contract and is liable for any lack of compliance that exists at the time of issue. He is also responsible for non-compliances resulting from the packaging, the assembly or installation instructions when this was covered by the contract or were performed under his responsibility. 1.2. Display the characteristics defined by the parties' mutual agreement or be specific to any special purpose sought by the buyer, brought to the knowledge of the seller and which the latter has accepted. - Article L211-12 of the Consumer Code: Actions resulting from non-compliance are waived after two years from the issue of the goods. - Article 1641 of the Civil Code: The seller is liable for a sold item's hidden defects which make it unsuitable for the use for which it is intended, or which diminish its usability to the point that the buyer would not have acquired it, or would have paid less if he was aware of them. - Article 1648 of the Civil Code: Actions resulting from the unacceptable defects must be presented by the purchaser within two years following the discovery of the defect. In cases covered in Article 1642-1, the action must be brought within one year from the date on which the seller can be discharged from apparent defects, on pain of foreclosure. Products that are modified, repaired, integrated or added by the Customer are excluded from the guarantee. The guarantee does not cover products that are damaged either during transport or due to misuse. - Either to replace the product with an identical product, depending on available stocks. - Or to refund the price of the product if it proves impossible to replace a product. - Either to refund the full price of the returned product. Or to reimburse part of the product's price if the Customer decides to keep the product. The Customer declares that prior to the Order they are fully legally capable to commit under the terms of the GTCS. In no event shall Repetto be obliged to verify the legal capacity of its Clients. Consequently, if a person with no legal capacity ordered articles on the Site, his legal representatives will assume full responsibility for this order and should honour the price. Repetto's liability can not be engaged in terms of the GTCS obligations in the case where the non-performance of its obligations is attributable to the act of a third party, even if it is foreseeable, to a fault of the Customer or to the occurrence of an event of force majeure as defined by the French courts. The information available on the Site is provided as is, without any kind of guarantee. Repetto is not responsible for any direct or indirect damage, whether foreseeable or not, caused during use of the Site. In the event that Repetto's liability should be established and withheld that is related to damage sustained by a Customer and attributable solely to the placement of an order, it is limited to the amount that the buyer paid Repetto for the order. For any additional information, any question relating to order tracking or a return, any complaint related to an order, the Customer is invited to contact the Repetto Customer Service on 01 80 27 20 20 from France (free service + call price) or on + 33 1 80 27 20 20 from abroad, during the Services' opening hours which are indicated in the Site's « Contact us » section. In accordance with the provisions of the Consumer Code concerning the friendly settlement of disputes, Repetto also uses the services of the FEVAD's e-commerce Mediator (Federation of e-commerce and distance selling) whose contact details are as follows: 60, rue de la Boétie - 75008 Paris - http://mediateurfevad.fr. You can use the mediation service for a consumer dispute related to an order passed on the internet with Repetto. We would like to remind our Customers that before calling on a mediation service, it is imperative that you have previously contacted the Repetto Customer Service by email at the following address : service.client@repetto.fr. To learn how to refer the matter to the Mediator : http://www.mediateurfevad.fr/index.php/espace-consommateur/. Repetto collects the Customer's personal data, and also that of the Order's recipient when applicable. The Customer is informed that this automated data processing, and in particular the management of users' e-mail addresses, has been declared to the CNIL (declaration No. 1372752). The purposes, recipients, and conditions under which Repetto collects and processes personal data are presented in the « Personal Data & Cookies » charter of the Site. The "Repetto" brand, together with all figurative and non-figurative brands and more generally all other brands, illustrations, images and logotypes appearing on Repetto articles or their packaging, whether filed or not, shall remain the exclusive property of Repetto SAS. Any reproduction, modification or use of these brands, illustrations, images and logotypes for any reason or on any medium without Repetto SAS's prior express agreement is strictly prohibited. The same shall apply to any combination or conjunction with any other mark, symbol, logotype and more generally any distinctive sign intended to form a composite logo. The same shall apply to all copyright, designs, and models which are the property of Repetto SAS. These Terms and Conditions are governed by French law, regardless of the Customer's country of residence and the location the Order was placed. Any dispute pertaining to the existence, interpretation, performance or termination of the contract concluded between Repetto and the Customer shall be subject to the exclusive jurisdiction of the competent French courts in the application of the rules laid down by the Code of Civil Procedure.